Dermafrac is explained as a micro-needling machine which is used to inject some pain-free ingredients in your skin. This treatment includes 3 step process in order to rejuvenate the skin, for example, Microdermabrasion, skin needling, and LED light. In these processes, your surgeon removes dead skin cells with the help of vacuum pressure which results in softer skin with refined pores. In addition, in the skin needling process, the surgeon uses fine needles in order to eventuate the production of the collagen. This process offers you many benefits such as tightening of pores, reduce fine lines, and improved hydration. At last, your surgeon uses LED light therapy in order to treat redness, scars, and inflammation. What type of skin conditions is eligible to take this treatment? This Dermafrac in India is suitable for many skin types such as fine lines, enlarged pores, congestion, aging, dull appearance, and pigmentation. In addition, this treatment is also useful for dehydration as well as scars and acne marks. You are able to get clear, soft, and smooth skin with this treatment. 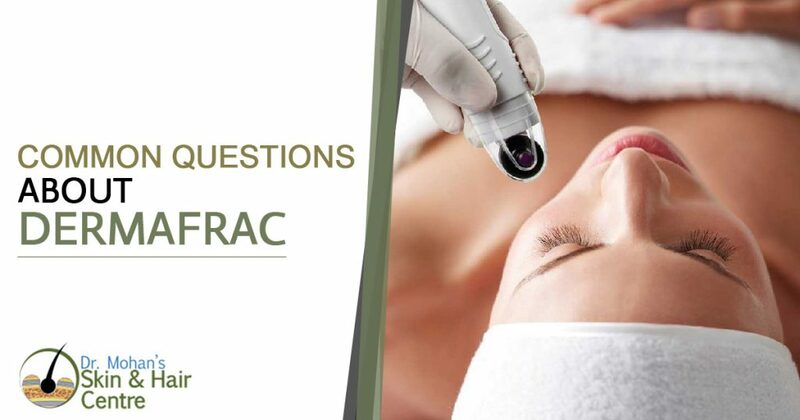 What is the exact recovery time for Dermafrac treatment? This treatment does not require more time to recover. You can able to do your normal everyday activities within 4 days after the treatment. You should experience some redness and swell around the treated area which can be faded away within 3 days. And after a week you will able to do some activities or you can start your work. Actually, this treatment is totally pain-free but some times people feel little discomfort because of needles. Otherwise, this treatment is totally safe and secure which gives you an attractive look. You should ask these questions your surgeon during the consultation appointment. How many treatments one should need to treat his skin? Everyone who is thinking to take this treatment needs 6 sitting or treatments in order to get the best results. These treatments are done on a monthly basis, so no need to worry about anything. What is the instruction of pre and post-care of this treatment? Your doctors will recommend you to avoid any of the skin products 4 days before and after the treatment in order to quick recovery. In addition, you should also avoid direct sunlight for fewer days because it can harm your skin and you may encounter skin infection around treated skin. In order to get better results, you should follow instructions and precautions that are given to you by your surgeon.